I hope everyone kept safe during Snowtober and that everyone has their power back. We’re kicking things off early, huh, New England? Good thing I have a gigantic threatening stack of reading to do while stuck indoors. Uh … I mean. Yeah, whatever. Cool. Thanks for the hits. Action Comics #3 – I haven’t gotten to issue two of this yet. Falling behind…. Animal Man #3 – See above. Sadness. Swamp Thing #3 – Funny enough, I did read issue two, and as much as I was all over issue one, the story’s feeling a bit lackluster now. I still dig Yanick Paquette and Scott Snyder like nobody’s business—it’s not necessarily the creators’ fault—I think it’s just that maybe I’m not as into Swamp Thing as I thought I could be. Eehhhh … I don’t know. Should I stick around? Convince me. 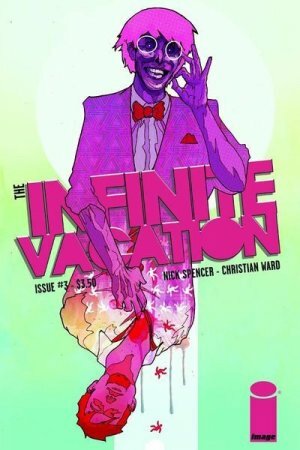 Infinite Vacation #3 – WWWWHHHHHAAAAAAAAAAAAA???!! Is this … do my eyes deceive me? Is this REALLY, FINALLY out?! Do I want to support this book after its RIDICULOUS lateness? Tell you what, issue three—I’ll give you a go. But this is your last chance. Get your act together, or you’re off the list for good. Fear Itself #7.1 – I don’t … what? I don’t understand what’s happening anymore. WHAT is with all of this “point one” garbage? What is this all about? Why is this still going on? Geez. I genuinely do not understand the thinking behind this wacko numbering. Why is it not Fear Itself #8? Why are we … God. Also—and I almost can’t bear to address it, but I’m going to—there’s a new title spinning out of Fear Itself. Want to know what it is? … Are you sure? Be warned, this is one gigantic SPOILER. Fear Itself Fearless #2 – Wait, hang on. Why is this on my pull list? I don’t know what this is. Mystic #4 – Awww, Mystic. I’m gonna miss you. I’m glad I get to look forward to you this week. Thank you for giving me some fun and some magic in a pull list that’s otherwise mostly full of failure. Shame Itself #1 – So I read the page previews of this on CBR and laughed so hard at the re-cap page. This is definitely coming home with me. Glad to see Marvel poking some fun at themselves. Uncanny X-Men #1 – Still haven’t finished reading Schism yet. Should I even bother? It’s gotten some fairly bad reviews and I’m SO BEHIND. Villains for Hire Point One #1 – I’ll be picking this up because I’ve been enjoying the Heroes for Hire book lately, but … *stares at title* … I just … I give up. X-23 #16 – Hooray! This should be good. Marjorie Liu doesn’t let me down and Phil Noto makes me happy because his stuff’s consistently out of this world. X-23 FTW. We end on a high. 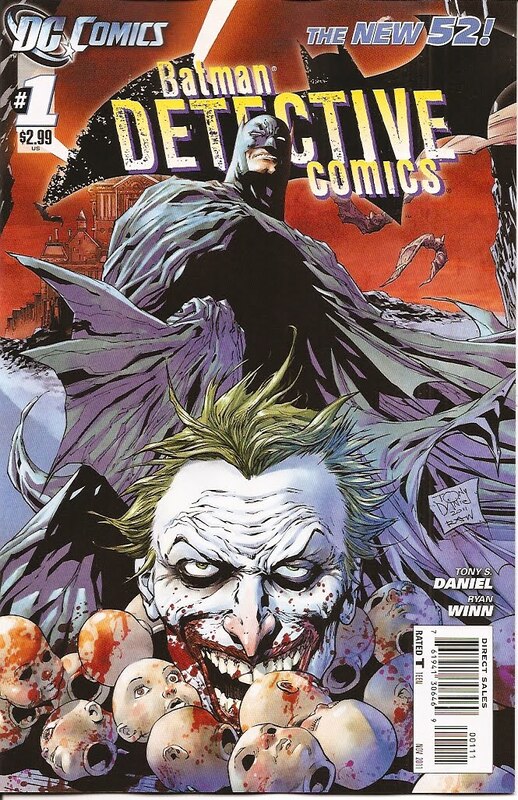 Would Detective Comics #1 prove to be a teenage boy's gateway drug? I have a nephew named Alex. He was the cutest thing when he was a tiny little kid—he was like my little buddy and I would take him to the comic shop and buy him comics and packages of Airheads taffy. Naturally, this made me his favorite aunt, a title I still proudly hold. He hated reading, but giving him comics was a great way of tricking him into doing so and making it fun. He loved the Marvel heroes, and on the weekends that he stayed over, we would watch the animated Spider-Man or X-Men shows and bond in this fun little geek world of comics characters. That nephew is now an angsty teenager, and having long fallen away from comics (there are no comic shops near where he lives), is more interested in girls, basketball, and his PS3 these days. So when his birthday rolled around this past month, I decided I would try a little experiment. 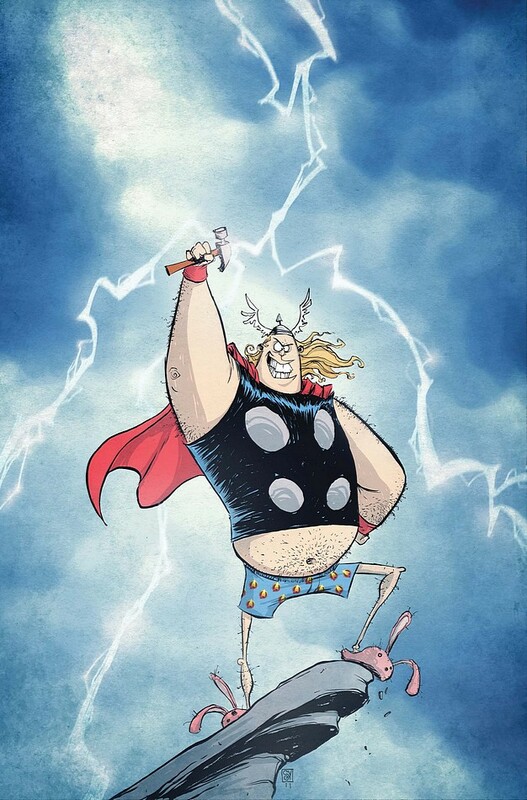 I thought there would be no better time to bring him back into the comics fold than now. And my weapon of choice? None other than the New 52. I was banking on buying him a handful of new titles that I thought he’d like, and went into the comic shop looking for specific books. Unfortunately, we ran out of a number of titles, and since I had put off buying him this stuff until the absolute last minute, I didn’t have the luxury of waiting for re-prints. So I made do with what I found, which was the following: Aquaman #1 (a good, easy read); Detective Comics #1 (dark and violent, right up any teenage boy’s alley); and Justice League #1 (a no-brainer). Since I also had already bought other gifts for him too, I couldn’t afford to pick up too many books. I thought the new Superboy might be a hit for him as well as he loved the Smallville TV series, but the store had sold out. What else would a kid his age like? Blackhawks? No copies left. Red Hood & the Outlaws? Hahaahaa, yeah, NO. I went over to the Marvel shelves instead and picked up Captain America #1. He loved the Cap movie; I was hoping this would get equally good results. Plus, it would provide for some publisher comparison. He got the issues on his birthday and seemed interested. I didn’t give him any background information. I didn’t tell him about the relaunch; didn’t explain that everything was starting over. I just told him to read. A couple of weeks later, it was time for follow-up. I texted him and asked if he’d read any of the titles. Response was positive. I told him to read the last book, Captain America, and that I’d call him to talk about it. When all the issues were read, we had a conversation. He told me that he’d really loved “the Batman one” and that he was dying to see what happened next (the infamous Joker cliffhanger). Aquaman was funny—he liked it, but it confused him a little. 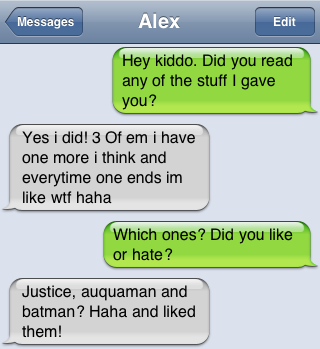 I explained some of the inside jokes, and told him that Aquaman had a pretty pathetic reputation—which made him laugh more, and the new understanding added to his enjoyment of the book. Lastly there was Justice League … he was hesitant about this one, but couldn’t explain his confusion or what was off about it. And that’s when I told him about the reboot. “The Justice League has never met each other prior to this,” I explained. “Huh?” He had seen the Justice League together before. He’d seen the comics. He knew that Batman and Superman were friends. “They’re starting everything all over again. This is all brand new. Forget about what you read before—it didn’t happen. They’re starting all over again,” I said. “WHAT?!? WHY?” Even as someone who hadn’t read a comic in years, he was dumbfounded by the concept. “To get to YOU!” I answered. The discussion that followed was pretty interesting. I tried, as rationally and objectively as possible, to explain the theory behind the New 52, and confessed that I had essentially used him as my guinea pig—which didn’t seem to bother him (he got free comics out of the deal, after all). As Marvel had not done anything different to their line of books, I asked him what he thought of Captain America in comparison. He said that he enjoyed it, but he didn’t understand it as much as the other books. Peggy’s funeral in the beginning; Sharon Carter, Baron Zemo—these were characters he didn’t know, and after reading the first issue, he still felt like he was missing a lot. He liked it, but was less inclined to pick up future issues than he was with the DC books. The real question now is to see whether or not he enjoyed this enough to go out and buy future issues on his own. But if the choice comes down to a slew of number two books or a copy of Arkham City on the PS3 … well. I’m pretty sure he’s about halfway through the game already. Experiment status: I’m cataloguing this one a tentative failure. You’ll recall that I was pretty annoyed a couple of weeks ago by the spoilery story announcement that Diana is apparently a daughter of Zeus. My level of geek rage had spiked pretty high at that little nugget, and I really wasn’t sure how wise it was going to be for me to continue to follow Azzarello’s run on this book. I think, though, that this is just another instance of media and solicitations ruining what may otherwise prove to be a very decent story. When I picked up issue two, fully knowing the reveal that would come, I assumed I would hate everything else about the story as well. Much as it bruises me to admit, this was still a damn great issue, and Azzarello is still weaving a damn good story, despite my reservations. And had DC allowed me to find out the big news as I were reading the issue rather than spoil it for me beforehand out of context, I might have actually been okay. You could have spared me the rage, guys. My blood pressure—she’s not so good. Kidding, of course. In all seriousness, the in-story reveal was a million times better than DC’s press attempts for shock and awe, and I’m slowly trying to have a bit more faith in the writer here. He did an excellent job of setting things up before dropping the proverbial bomb at the end of the issue, and it was done in a way that felt organic as opposed to contrived. He even made sure to address the “born of clay” origin, rather than ignoring it and wiping it away completely, as I’d feared would be the case. Given that this is the essence of her character and her story, it’s kind of a big deal. 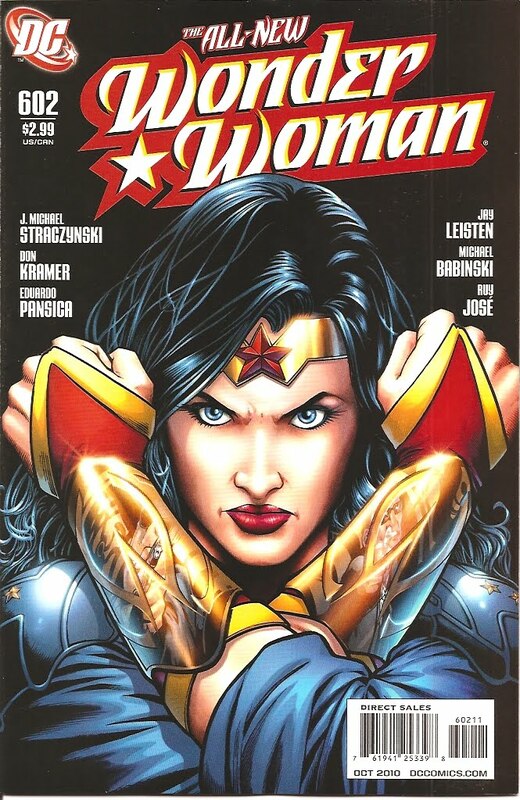 Wonder Woman fans have, over the years, built up a reputation for being … let’s call it “high-strung.” We’re overly picky. Some of us are traditionalists. All of us demand perfection, and we may take it to extremes. But when you’ve watched a character you love get the short end of the stick over and over and over again; when you’ve watched writers mistreat her, misunderstand her, and/or flat out despise her; when this incredible character, this one-third of the all-mighty “Trinity” gets her panel time cut down in favor of the freaking Green Lantern, you tend to get a little overprotective. We’re fed up. 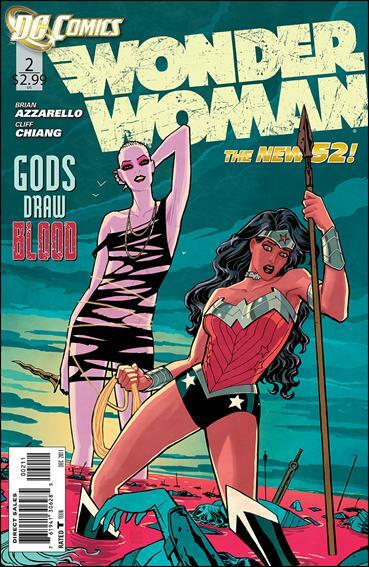 I think—I hope—Azzarello gets that. And I think—I hope—he’s righting the ship. I’m still on for the ride to wherever he’s steering it. Also, one more thing—Hippolyta is so totally awesome no matter her hair color. Also, one more more thing—Cliff Chiang rocks my world. Was soooooooooooo not going to read this book. I generally don’t care for magic-using characters of any kind, and it’s a point of contention between Fiancé and I. If I’m playing a video game and I can make my own character, I’m going for the badass warrior with weapons galore and insane melee skills—you know, get all up in the action. Fiancé, on the other hand, prefers to don some cheap cloth robe and fire-bomb the heck out of people from a very safe distance. That said, the idea of a book centering heavily around the use of magic and magical characters didn’t exactly pull me in. Not to mention the fact that I didn’t know who half of these people where. Shade, what? Who’s that? It’s safe to say I’ve never read a single issue of anything bearing John Constantine’s name. 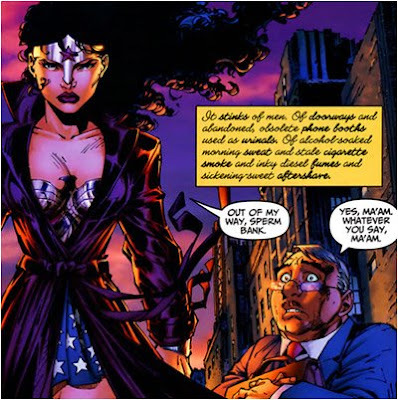 Heck, even Zatanna—a character who I bet you’d think I’d be all about—doesn’t draw me in. I tolerate Zatanna, but I’m not a Zatanna fan. Not yet. With Justice League Dark now on my pull list, I can see this changing very soon. I wish I could put my finger on just what it is that’s making this book so special to me, but I’m honestly not sure I know. It isn’t one particular thing—it really isn’t blowing my mind in one area. It’s just a combination of things, the ingredients of a comic book that are all done well and come together to give you something worth your appreciation. And it’s all enveloped in this ominous, foreboding overtone that’s just enough to entice and not enough to overbear. Issue #2 continues to bring together our cast of characters in the lead up to a presumable face-off against the Enchantress; we get a striking introduction to John Constantine, and Milligan brings in Dove and Deadman to aid June Moon from last issue. The title so far has worked almost in a series of vignettes with each character, but it’s interesting because none of them are all that self-contained. 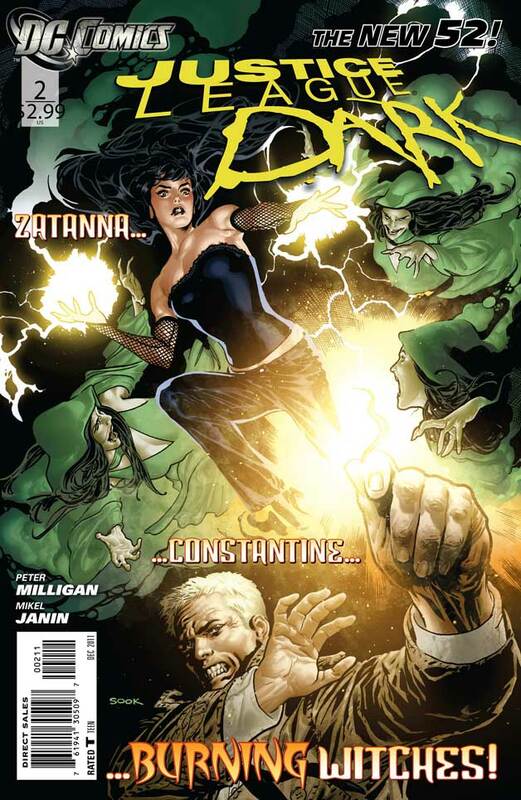 Each character piece is weaved into the overall story, and with Madame Xanadu overlooking everyone and pulling the strings, there are some very intriguing elements indeed. Mikel Janin on art further sets this book apart from the pack. I don’t think I’ve ever seen any of his other work, and he has this painted style that’s just lovely. I came into this title fully intent on finding any reason to hate it, but it seems neither creator wants to let me. And that’s so, so exciting and great. The groundwork is being laid, and I can’t wait to see the storm that’s coming ahead. This book is worth a shot. With this incarnation of Ultimate Spider-Man, Marvel has me subscribed to a Spider-Man title for the first time in my life. And I’m sure I’m not the only one. There’s a lot to be said for Miles Morales, but I’m certain you’ve already heard it all. In the media storm that ensued following Marvel’s announcement they were killing off Ultimate Peter Parker and putting someone new under the mask, further fueled by Miles’ big reveal, there’s nothing the internets hasn’t already addressed. I have nothing new to add to the conversation; I just want to say that I think this is absolutely awesome, amazing, wonderful, inspiring, and YES, MARVEL—YOU DONE GOOD! I … I want to summarize the issue, but I also don’t want to spoil it. In short, Miles is learning more about his new powers. He’s also getting braver and putting them to the test in some very risky situations. He’s also starting his new school and making new friends (or potential villains, I wonder?). It all ends on a big cliffhanger that is just so well done structurally that … well. Good job, Mr. Bendis. I know I like to rag on you from time to time, but I have to tip my hat and give credit where credit is due. You get a gold star. Also, HOLY COW, SARA PICHELLI. Is this woman freaking amazing or what? I thought her stuff was good before, but I feel like I am actually witnessing her skills grow. Woman is on fire. I absolutely cannot see anyone else drawing this book now. 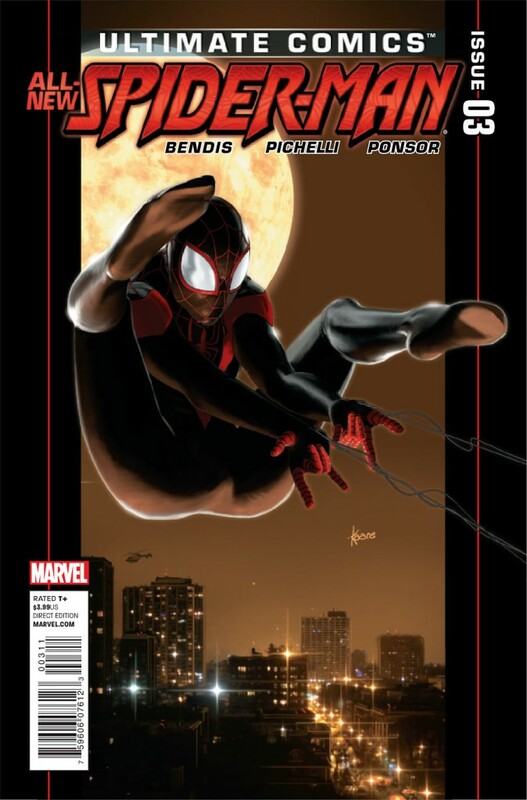 I hope the Bendis/Pichelli run is a very, very long one. 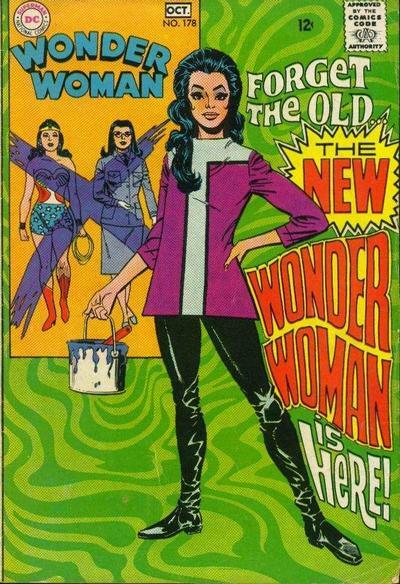 I hope it’s on par with Bendis/Bagley, because I’m not sure I could bear to see this book under anyone else’s care. Absolutely wonderful. I can’t stress it enough. GO BUY ULTIMATE SPIDER-MAN RIGHT NOW. Okay, I think that’s enough. Hopefully the super long length of this post has made up for my lack of posting the last couple of weeks. Either that, or I just bored you to death and drove you further away. Time to imagine that unicorn again. This entry was posted on 11/04/2011 by ravenhaired. It was filed under Comic books, Female Characters / Creators, Reviews, What I'm Reading / Wednesday New Comics and was tagged with Brian Azzarello, Brian Michael Bendis, Cliff Chiang, DC, Fear Itself, Infinite Vacation, Justice League, Justice League Dark, Marvel, Miles Morales, Sara Pichelli, Ultimate Spider-Man, Wonder Woman. Sara Pichelli’s art in Ultimate Spider-Man is very impressive. It struck me that her characters don’t just pose, they emote. Beautiful stuff. Not necessarily from a safe distance. Just far enough that enemy melee won’t hit.